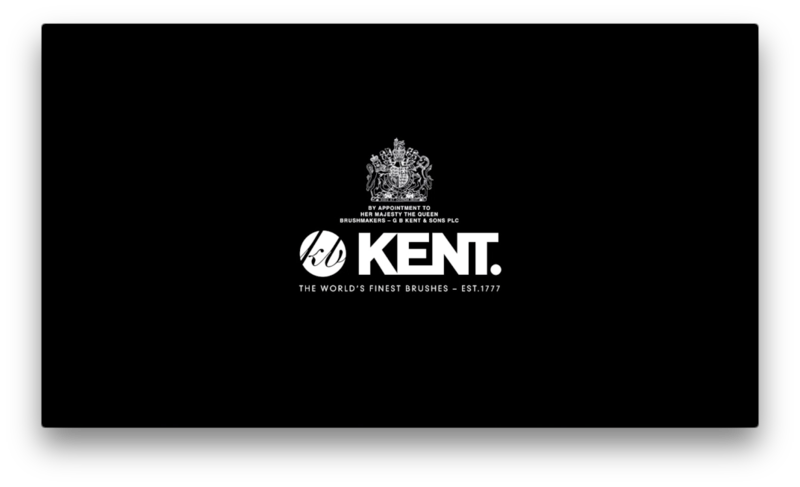 Kent Brushes, one of the oldest and most prestigious retail brands in Britain, have been expanding their range of brushes since 1777. The luxury brand, which is represented through their rich British heritage, holds a pre-eminent place in the history of brush-making, with an unbroken record of excellence in the quality of its production which has been recognised by the granting of Royal Warrants for nine reigns. Kent Brushes are stocked in high-end stores such as Selfridges, Fortnum & Mason and Harrods, as well as John Lewis, Boots and online stores such as ASOS. The world’s oldest hairbrush manufacturer approached CuCo with the intention of building an online strategy to maximise online sales and capture a share of the millennial market in the face of challenger brands and cheap imports. The brand had identified that while their existing customers were fiercely loyal, awareness of the brand within the more youthful market was relatively low and this was negatively impacting sales. CuCo used Kent Brushes Google Analytics data to gain valuable insights into customer activity before developing a user-focused digital marketing strategy. This strategy would incorporate social media marketing across multiple channels, with the inclusion of paid advertising. The new digital marketing strategy would focus around the new eCommerce Magento-driven website, designed and built by CuCo, with a clear goal to drive greater direct sales and increase brand awareness significantly amongst millenials. The creative would see the design of a highly-visual branded online identity for Kent Brushes, maintaining their iconic rich heritage, yet with a modern twist. There would be use of numerous heritage-themed videos embracing the brand’s values and showcasing the excellent craftsmanship from Kent Brushes, thus proving an important factor in our brand research. Rather than try and manage the strategy internally, Kent Brushes tasked CuCo to manage aspects of their digital marketing – content strategy, email marketing campaigns, blogging, organic social media activity and targeted Facebook advertising would all be performed by our team. As well as day-to-day customer interaction and promotions, our creative marketing would ensure Kent Brushes’ sales came to life during key seasonal periods, including Movember, Black Friday and Christmas. CuCo made sure Kent Brushes’ transition from their quintessential British Heritage into the digital age was a smooth one. CuCo’s Black Friday campaign alone – which ran from November 25th – 27th, saw a staggering 700% rise in sales compared to the same period the previous year, as well as 666% quantity increase. December also saw fantastic results for the brand, with the immense success of CuCo’s Christmas Campaigns. The festive period alone saw a 44% rise in revenue, 50% increase in quantities ordered and an average order value increase of 11% compared to November- December 2015. When CuCo’s paid Social media activity started in November 2016, we helped Kent Brushes earn 30% of their overall revenue for 2016 in just TWO months! We also gathered over 1000 newsletter sign-ups in just over four weeks. Key products are now consistently selling out on the Kent Brushes online store. CuCo currently continue to manage all aspects of their digital marketing strategy. "CuCo's work on our website and social media campaigns has made a significant different to our business. We've seen a dramatic increase in online sales and interaction with our customers across social media platforms about our company and products. Always quick to respond to our needs, CuCo offer great support and guidance in this new and unfamiliar area of our business."